Yosemite National Park is a United States National Park spanning eastern portions of Tuolumne, Mariposa and Madera counties in east central California, United States. The park covers an area of 761,268 acres (3,080.74 km) and reaches across the western slopes of the Sierra Nevada mountain chain. Over 3.7 million people visit Yosemite each year: most spend their time in the seven square miles (18 km) of Yosemite Valley. Disneyland Park is a theme park located in Anaheim, California, owned and operated by the Walt Disney Parks and Resorts division of The Walt Disney Company. Originally, and still often colloquially, called Disneyland, it was dedicated with a televised press preview on July 17, 1955, and opened to the general public on July 18, 1955. Disneyland holds the distinction of being the only theme park to be designed and built under the direct supervision of Walt Disney himself. Sequoia National Park is a national park in the southern Sierra Nevada, east of Visalia, California, in the United States of America. It was established on September 25, 1890. The park spans 404,051 acres (1,635 km). 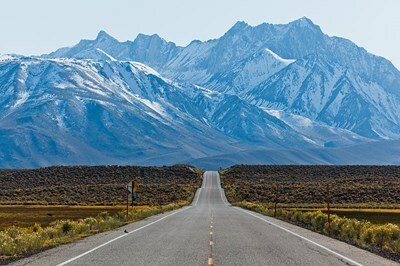 Encompassing a vertical relief of nearly 13,000 feet (4,000 m), the park contains among its natural resources the highest point in the contiguous 48 United States, Mount Whitney, at 14,505 feet (4,421 m) above sea level. The San Diego Zoo in Balboa Park, San Diego, California, is one of the largest and most progressive zoos in the world, with over 4,000 animals of more than 800 species. It is also one of the few zoos in the world that houses the giant panda. It is privately operated by the nonprofit Zoological Society of San Diego on 107 acres (0.43 km) of parkland leased from the City of San Diego, and ownership of all animals, equipment and other assets rests with the City of San Diego. Hollywood is a neighborhood in Los Angeles, California - situated west-northwest of Downtown Los Angeles. Due to its fame and cultural identity as the historical center of movie studios and movie stars, the word "Hollywood" is often used as a metonym of American cinema, and is often interchangeably used to refer to the greater Los Angeles area in general. The nicknames StarStruck Town and Tinseltown refer to Hollywood and its movie industry. The Winchester Mystery House is a well-known California mansion that was under construction continuously for 38 years, and is reported to be haunted. It once was the personal residence of Sarah Winchester, the widow of gun magnate William Wirt Winchester, but is now a tourist attraction. Griffith Observatory is in Los Angeles, California, United States. Sitting on the South-facing slope of Mount Hollywood in L.A. 's Griffith Park, it commands a view of the Los Angeles Basin, including downtown Los Angeles to the southeast, Hollywood to the south, and the Pacific Ocean to the southwest. The observatory is a popular tourist attraction with an extensive array of space- and science-related displays. The Monterey Bay Aquarium (or MBA, founded 1984) is located on the site of a former sardine cannery on Cannery Row on the Pacific Ocean shoreline in Monterey, California. It has an annual attendance of 1.8 million and holds 35,000 plants and animals representing 623 species. The aquarium benefits by a high circulation of ocean water which is obtained through pipes which pump it in from Monterey Bay.